If you think you have ever voted at your polling place for the president of the United States, do you know that you are mistaken? Of course, millions of Americans have cast ballots with the names of presidential candidates on them, but those are not votes cast directly for the candidates. Rather, when you vote for president you are actually voting to give electors, pledged to a certain candidate, seats in a body called the Electoral College. The Electoral College, not the general public, elects the president. On election day of last year, 50,996,039 people cast votes for Al Gore, 539,898 (just over one half of one percent of the total popular vote) more than voted for George W. Bush. However, more Bush supporters won seats in the Electoral College, and they elected him 271-266. Is this the best way to elect our president? The answer is no. The current method we use to select our president is unacceptable. The results of last year's presidential election was among the reasons why I believe the current system does not work. We should abolish the Electoral College because it allows for the will of the people to be misrepresented when electoral vote and popular vote results are not the same; it discriminates against certain citizens by making the votes of some states more influential than the votes of other states, and it can create a number of bizarre scenarios which could alter the results of an election. First, we should start by getting a clear picture of what the Electoral College is because, as Arthur Schlesinger, Jr. once wrote, "[The Electoral College] is impossible to explain to foreigners. Even most Americans don't understand it." Indeed, the system is not nearly as simple as the direct vote method used in most other elections. As prescribed in the Constitution, every state gets to choose electors equal to the number of its senators and representatives; Washington, D.C. gets three. The Constitution gives the legislature in each state the authority to select the way its state's electors are chosen. The Electoral College is not a standing body. Rather, it operates only long enough for its members to vote in each election for president. Each state delegation of electors usually convenes in its state capital, and the electors cast ballots for the president and the vice president. After they finish voting, the president of the U.S. Senate receives the results. Then, in the presence of Congress, he/she has the votes counted and announces the totals. If no presidential candidate gets more than half of the electoral votes, then a vote is held in the U.S. House of Representatives to determine the winner. Similarly, the U.S. Senate decides the winner of the vice presidency. Overall, the system of choosing the president and vice president is probably the most complex election method in our country today. Exercising its constitutional right under this system, each state legislature, which decides how its state's electors will be picked, has chosen to involve the average citizen in the selection process of electors. Today, forty-eight states and Washington, D.C. choose their electors by having the people at large cast votes, called popular votes, for a presidential candidate. The candidate with the most popular votes wins that state's electors. In Maine and Nebraska, the two states which operate under what is called the "district" system, the presidential candidate who gets the most popular votes in a congressional district gets an elector, and the winner of the most votes statewide gets two electors. Thus, the popular vote is incorporated into our contemporary means of choosing electors. After looking carefully at the Electoral College and these rules under which it operates, my first argument for abolishing it is that the Electoral College can misrepresent the will of the people. Besides last year, candidates won in the Electoral College while getting fewer popular votes than their opponents in 1876 and 1888. A similar discrepancy occurred in 1824, when President John Quincy Adams was elected while losing the popular vote; however, in that case the popular vote was not necessarily a good reflection of national sentiment because not all states were using a popular vote method for selecting electors. In the past the Electoral College has simply failed to represent the people's will by not electing the person whom a plurality of voters has wanted to be the president. Not only has the Electoral College actually elected the popular vote loser, but it has come close to doing so many additional times. Sen. Richard Durbin points outs that in "...the elections of 1844, 1880, 1884, 1960, and 1968...the main opponent lost the popular vote by an average of only 0.3 percent. This is in stark contrast to the winning margin in electoral votes for these elections, which averaged 17 percent." In those elections, the losing candidates might have been able to win over the small fraction of citizens needed for a popular vote victory; however, even if the candidates had done so, they still might not have been able to make up for their much wider deficit in the electoral vote. "One can conclude that approximately one in 14 presidential elections [has] resulted in a...President [who lost the popular vote], while one in five [has] nearly resulted in one." What if more of the close elections go in favor of the popular vote loser in the future? Given the historical trends shown by Durbin, as many as one-fifth of future elections may result in misrepresentation of the popular will with the candidate who has the most popular votes losing the presidency. winning the popular vote and Gore winning the electoral vote. Indeed, the Electoral College is such an unreliable representative of the popular will that in a close election it could easily deliver victory to either candidate without him/her gaining the most popular votes. Last year's election illustrates this. While in reality the Electoral College gave Bush the presidency in spite of losing the popular vote, if only 0.29% of voters had changed their minds in four states the opposite would have occurred: Gore would have lost the popular vote but won the presidency (see Table 1). It is quite conceivable that Bush could have convinced an additional 2% of voters in his home state of Texas to vote for him, and another 1% of California and New York voters; furthermore, if Gore had taken just 269 popular votes from Bush in Florida, then Gore would have been elected president while Bush won the popular vote. Thus, the Electoral College does not do a good job of portraying the national will if, with minor changes, it can elect either candidate in a close race without the winner receiving the popular vote. Even when the popular vote winner is elected, the Electoral College can still misrepresent the popular support given to candidates. In 1972, George McGovern won 38% of the popular vote, but received only 17 electoral votes; McGovern's supporters, even though a fairly large percentage of American voters, were represented by only 3% of the electors. A similar situation occurred in 1984, when Walter Mondale won 41% of the popular vote, but was thumped in the Electoral College 525-13. Ross Perot's Electoral College showing in 1992 was even more unrepresentative of his popular support. He captured 19% of the popular vote, but won no electoral votes. Thus, people can come out and vote for a candidate, sometimes in large numbers, but the Electoral College will not always reflect (or even recognize) their efforts. ...the combined voting age population (3,119,000) of the seven least populous jurisdictions of Alaska, Delaware, the District of Columbia, North Dakota, South Dakota, Vermont, and Wyoming carried the same voting strength in the Electoral College (21 electoral votes) as the 9,614,000 persons of voting age in the State of Florida. Our current system discriminates against some citizens by giving their votes unequal weight. Another way that the current system discriminates is by encouraging candidates to campaign in certain states and not others. Generally speaking, states in a presidential election are divided into three categories: states a candidate knows he/she will lose, states a candidate is certain to win, and states which are close. Under the Electoral College, a candidate has no reason to campaign in states where he/she is hopelessly behind. If a candidate loses, then it does not matter by how much, for he/she still gets zero electoral votes. As noted during last year's election, "Candidates spend very little time in states they expect to lose. Gore has popped up in Indiana, for example, not once since May, or about as often as Bush has traveled to Massachusetts (once)." The same is true in states where a candidate is significantly ahead. If he/she is going to win the state's electoral votes, then why would he/she care about his/her margin of victory? The Electoral College gives candidates little incentive to campaign in states where they are certain to win or loose; consequently, the candidates do not need to give voters in those states much attention. The shift of a few thousand votes in Illinois and New Jersey could have changed the result of an election as close as this past one. There is something wrong with an election system which hinges, not on the vote of 70 million, but on the vote of several thousand in a few key states. Last year, Gore would have won if just 269 voters in Florida had switched their votes. In no other state did a group of 269 citizens hold such power. The current system discriminates between voters by making it much more important for the candidates to campaign for swing-state votes than for votes in less contested states. The Electoral College also discriminates by not taking into account the voter turnout in a state. Two states might each have an equal number of electoral votes; however, on election day more people might come to the polls in one state. Even with this varying voter turnout, the state with less popular votes would still get the same number of electoral votes. For example, last year three states, Oregon, Iowa, and Mississippi, had seven electoral votes. In Oregon, 1,533,968 people voted, and 1,315,563 citizens cast ballots in Iowa; however, only 994,184 people cast ballots in Mississippi. Yet, Mississippi, even though fewer of its citizens voted, received the exact same number of electoral votes. Thus, the Electoral College discriminates against people who live in states with high turnouts. Besides giving disproportionate weight to certain voters, the third reason for abolishing the Electoral College is that it allows for a number of bizarre election scenarios. One of the scenarios could come about because the Constitution says that "Each State shall appoint, in such Manner as the Legislature thereof may direct, a Number of Electors...." This leaves the doors wide open to a number of possibilities. Currently, all the states' legislatures use a popular vote to pick electors, but any state could change its system. A legislature of, say, Wisconsin could choose its electors by holding a pie-eating contest on the lawn of the governor's mansion. The eleven people who eat the most pies would become Wisconsin's electors. Of course, a pie-eating selection process is a little far-fetched, but a legislature could cancel the popular election and choose electors itself. A dominant party could then guarantee that its candidate would win that state's electoral votes. This came close to happening last year, when, during the presidential election dispute in Florida, "the Republican-led Florida House of Representatives entered the electoral fray...voting to name a slate of electors to guarantee victory for...Bush." If a legislature was to give itself the power to choose electors on a permanent basis, they would create the strange situation of the people in one state not voting for president on election day. Also, a second bizarre scenario could occur if an elector breaks the party line. This has happened in the past. From 1948 to 1988, seven electors have bolted. In 1972, a Republican elector from Virginia voted for Libertarian candidate John Hospers. The most recent example of electors not doing what they are expected to do happened last year when "Barbara Lett Simmons, a Gore elector from the District of Columbia, left her ballot blank to protest what she called the capital's 'colonial status'...." Simmons's abstention resulted in Bush winning 271-266, rather than 271-267 if she had voted for Gore. Theoretically, a whole group of electors could come together and change its votes to another candidate. Or, in a really close election, the presidency could be determined by the change of one elector's vote. Last year, if just three electors had switched from Bush to Gore, then Gore would have won the election. Under the current system, the selection of the president lies in the hands of just a few electors. 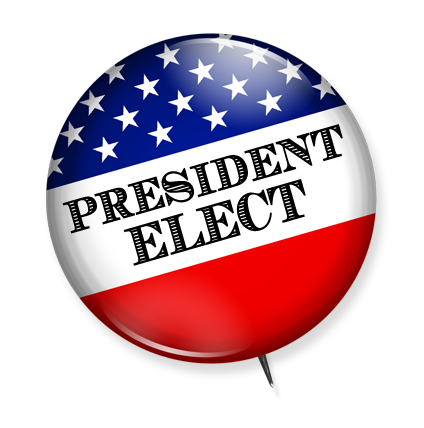 A third strange situation could occur if the Electoral College elected members of two different parties as president and vice president. Since the Constitution has electors vote for the offices separately, they could elect a Republican to one and a Democrat to another. In 1976, an elector from the State of Washington voted for Ronald Reagan, who was not even running for president. However, Ford's running mate, Bob Dole, received one more vote on the vice-presidential ballot than Ford did on the presidential ballot. Thus, while Jimmy Carter beat Ford 297-240 in the presidential election, Carter's running-mate Walter Mondale defeated Dole by the smaller margin of 297-241 in the vice presidential election. In a close election, if just a few electors changed their vote on one ballot but not the other, then we could end up with a president and vice president from different parties. In response to these three problems in the Electoral College, theoretically we could implement nationwide the electoral system currently used in Maine and Nebraska; however, this would not adequately solve the problems of the Electoral College. In Maine and Nebraska, one elector is granted for each victory in a congressional district plus two electors for the statewide winner. However, the current weaknesses of the Electoral College would remain. First of all, the Electoral College could still misrepresent the popular will. "[I]t would be likely, but not certain, that the electoral vote would more closely approximate the popular vote. (It would not have in 2000.)" If the Maine and Nebraska method was implemented nationwide, the popular vote winner could still lose the election. Additionally, the state legislatures do not have much of an incentive to switch to such an electoral method, "For no southern Republican will allow such a change in his or her State unless and until northern Democrats permit it to happen in their States and vice-versa." States do not have a reason to limit their candidate's number of electoral votes. To prove this, we need only look to the election of 1800, when Thomas Jefferson and President John Adams were in a rematch after Adams had won in 1796. Because Jefferson's supporters in Virginia realized that he would have collected more electoral votes in 1796 if they had had a system where all the electors in the state went to the same candidate, they switched to have the winner in Virginia get all its electoral votes. "Adams's own base of Massachusetts immediately followed suit. By the end of the 19th century, nearly every state had adopted the practice we still follow today". Overall, a district allocation compromise will not work, because it does not solve enough problems and states have little incentive to implement it. Upon close inspection, the Electoral College is an unacceptable method of electing our president. It can misrepresent the will of the people when there are discrepancies between the electoral vote and the popular vote. The Electoral College gives precedence to some citizens over others by giving people's votes unequal weight. In addition, it permits a number of bizarre scenarios which could swing the presidency from one candidate to another. The president of the United States holds the most powerful position in America, perhaps even in the world. It is imperative that we have a fair and reliable system for choosing who will hold that office. The Electoral College is not that system. "2000 Official Presidential General Election Results." Online posting. 8 Feb. 2001. Federal Election Commission. 3 May 2001 <http://fecweb1.fec.gov/pubrec/ 2000presgeresults.htm>. Clymer, Adam and Richard L. Berke. "Candidates try to pinpoint crucial states." San Jose Mercury News 22 July 2000: 19A. DeGregorio, William A. The Complete Book of U.S. Presidents. 4th ed. New York: Random, 1993. Durbin, Richard J. "Should the Current Electoral College System be Preserved?" Congressional Digest Jan. 2001: 17+. "Electoral College Box Scores." Online posting. National Archives and Records Administration. 3 May 2001 <http://www.nara.gov/fedreg/elctcoll/ ec-boxsc.html>. "Electoral College Overview." Congressional Digest Jan. 2001: 5+. Gans, Curtis. "Electoral College Reform." Congressional Digest Jan. 2001: 12+. Kimberling, William C. "Issues for Debate." Congressional Digest Jan. 2001: 9-11. Levey, Noam. "Florida's lawmakers select slate of electors loyal to Bush." San Jose Mercury News 13 Dec. 2000, final ed. : 19A. McGeveran, William A., Jr., et al., eds. The World Almanac and Book Of Facts 2001. United States of America: St. Martin's, 2001. Rakove, Jack. "The Accidental Electors." New York Times 19 Dec. 2000: A35. Schlesinger, Arthur, Jr. "It's a Mess, But We've Been Through It Before." TIME 20 Nov. 2000: 64-65. Sibert, Jacquelyn S., et al., eds. The Presidents. Indianapolis: Curtis Publishing, 1989. Stout, David. "The Electors Vote, and the Surprises Are Few." New York Times 19 Nov. 2000, late ed. : A31. Wildavsky, Ben. "School of hard knocks." U.S.News & World Report 20 Nov. 2000: 52+.